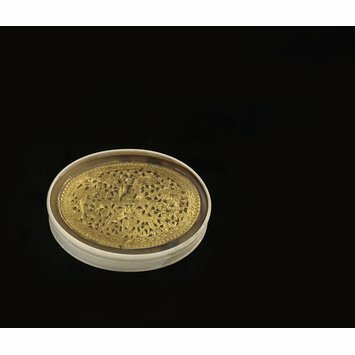 This is an oval patch-box made in the 18th century France. 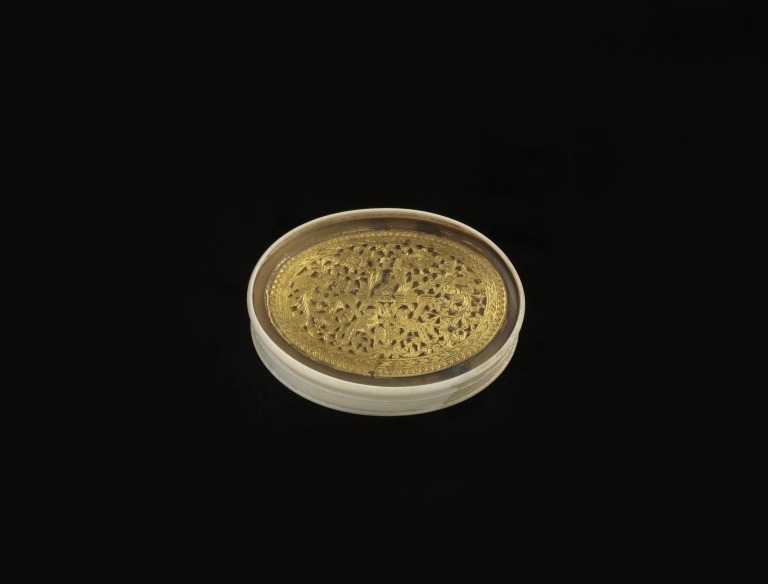 The box is made of pressed horn and has ivory rim and gilt openwork plate in lid. Ivory combs, together with mirror cases, boxes and gravoirs for parting the hair, formed an essential part of the trousse de toilette or étui (dressing case) of the typical wealthy lady or gentleman in the period. The two leading cities for ivory carving were Paris and Dieppe. Luxury items, such as combs were often made in Paris, especially during the sixteenth and seventeenth centuries. During the seventeenth century Dieppe became increasingly significant for small-scale sculpture in ivory, perhaps because it was a port. 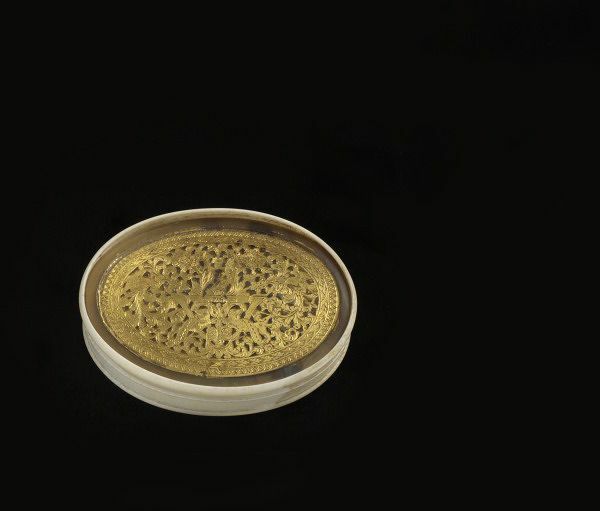 This oval patch-box of pressed horn with an inset gilt openwork panel of floral motifs and two dogs or wolves, has an ivory rim. Given by the Rev. R. Brooke in 1864.